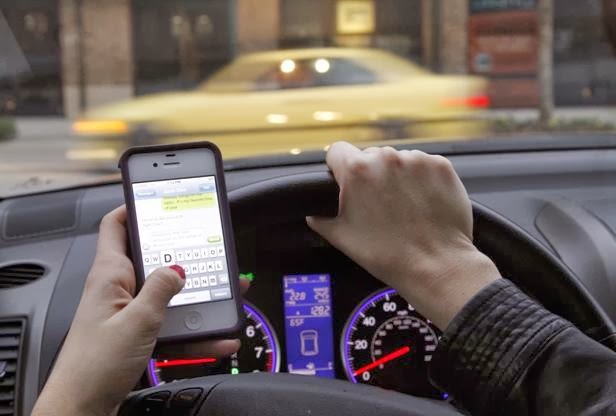 Legislation, research and the press are united - texting in cars is dangerous. WeLoveAnyCar.com believes internet browsing will outpace texting and is calling for browsers to be disabled for drivers on the move. Smartphones such as iPhone and Samsung Galaxy generate more internet traffic than desktops - allowing users to 'Facebook', email and browse other pages like dating sites on the move. WeLoveAnyCar.com tracked use of their sites by people on the move and found a number using their site whilst moving quickly. A spokesman for the biggest car review site in the UK said, "Like all companies with a sophisticated internet site, we can track usage where we have the user's permission. We found that a small number of users seemed to be moving very quickly. Whilst users could be on trains and passengers in cars we have to consider some users may be using their smartphone whilst driving." WeLoveAnyCar.com is considering building in a safety feature that detects when a user is on the move and warns them of the dangers of browsing whilst driving. The system may even disable mobile access if they are traveling more than 10 mph, if technically possible. Google, Facebook, Twitter - they all have the resources to make our roads safer. The Manchester based car site is now calling for the largest Internet companies to follow suit and develop systems which, at the very least, asks 'internet drivers' to consider the dangers of updating their Facebook statuses or reading emails whilst in charge of a car. The site's spokesman continued, "Google, Facebook, Twitter - they all have the resources to make our roads safer. Technology will always outpace legislation and we should develop new features to help drivers focus on the road ahead." Restricted use of technology on the move is not new. Modern in-built SatNav systems disable many features if the car is in motion. Brake, the road safety charity, urges divers to 'Drive Smart' and recommends that phones remain out of site, out of reach, in the car. Whilst that is the best advice, the adoption by internet companies of measures to restrict use can only help where drivers feel 'separation issues' from their phone whilst on the move. WeLoveAnyCar.com, which has more car owner reviews than any other place on the internet, believes the feature should become an industry standard and that will require the industry leaders and ISPs to agree on a user friendly way to enable greater car safety, whilst ensuring consumers have the ultimate choice.